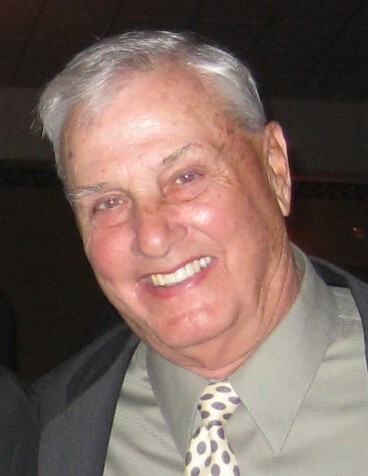 Frank P. Panaro 84, devoted husband of the late Virginia A. Panaro (nee Holscher) passed peacefully on April 10, at Mercy West Hospital. He is preceded in death by his parents Frank and Techla Panaro (nee Gannon) and his grandson Robert Michael. Loving father of Michael (JoAnn) Panaro, Daniel Panaro, Gina (Eric) Jung, Marianne (John) and Matthew Panaro. He is the cherished grandfather of 8 grandchildren and 11 great-grandchildren. Dear brother of Larry Panaro. Frank was a truck driver where he worked for many years for Ruebel’s Bread Company and Klosterman. He was a longtime resident of Cincinnati, and more recently in Hidden Valley and Lawrenceburg Indiana. Family and friends are invited to a visitation on Tuesday April 16th from 6-8 PM at the Dalbert, Woodruff & Isenogle Funeral Home and a Mass of Christian Burial on Wednesday April 17th, 10 AM at St. Lawrence Church 3680 Warsaw Ave, Cincinnati, OH 45205. A memorial fund has been established to support Frank’s great granddaughters' medical expenses due to a genetic condition known as Ectodermal Dysplasia. Donations will be accepted at the funeral home on Tuesday, or you can visit any 5/3 bank and donate to: Frank Panaro Memorial Fund.